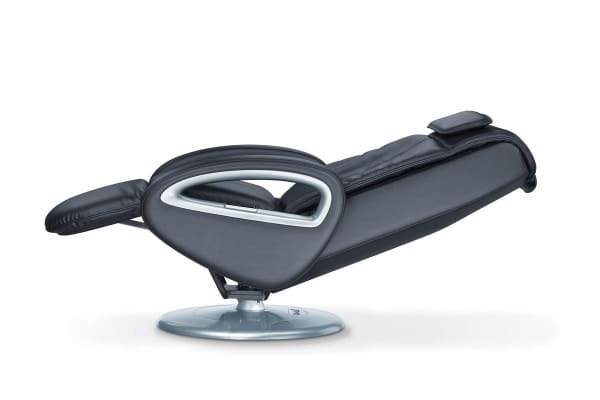 The Beurer Shiatsu Reclining Massage Chair – Deluxe Edition features an automatic body scanning function to ensure that the massage follows your personal body shape. 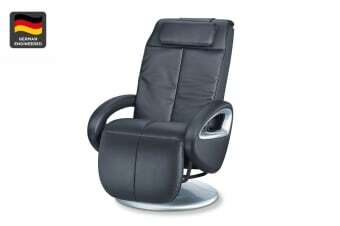 The 4 head massage system adjusts to provide Beurer Shiatsu Reclining Massage Chair, tapping, kneading or rolling massage options. Not sure of what massage option to choose? Why not use one of the 3 built-in program options for Relax, Health or Therapy massage. 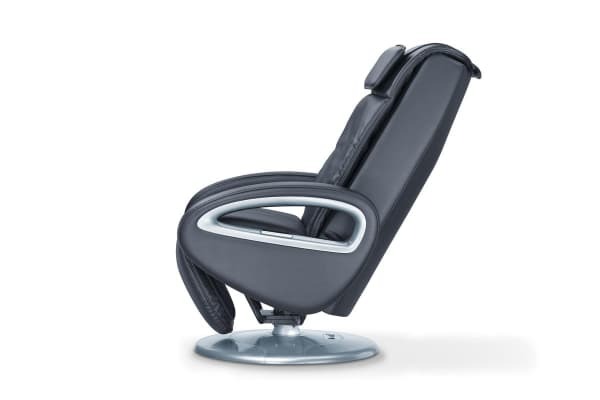 The Shiatsu includes 3 intensity levels for vibration massage in the seat or calf areas and with an automatically adjustable reclining back rest or foot rest. It also features wireless remote control, removable pillow and made from leather optics (PU) for longevity and easy care. The maximum load capacity of the massage chair is 150kg. Do you often feel sore or stressed throughout the day? A soothing Shiatsu massage is often enough to prevent or effectively relieve tension in the neck or back area. Based on an ancient Japanese medicine technique, Shiatsu massage applies pressure to sore joints to help relieve tension, promote circulation and boost physical and mental wellbeing. Beurer combines German design and engineering with state-of-the-art technology to produce market-leading products for the health, well-being and beauty sector. With their innovative products, Beurer have become internationally renowned and have won multiple prestigious awards.